This sticker features a hand drawn cat along with the artist City Kitty’s tag. This sticker is an example of postal ‘slaps’ or the practice of using postal stickers to ‘tag’ public areas—often with the artist’s signature character or using a signature style, making the artist’s work recognizable. 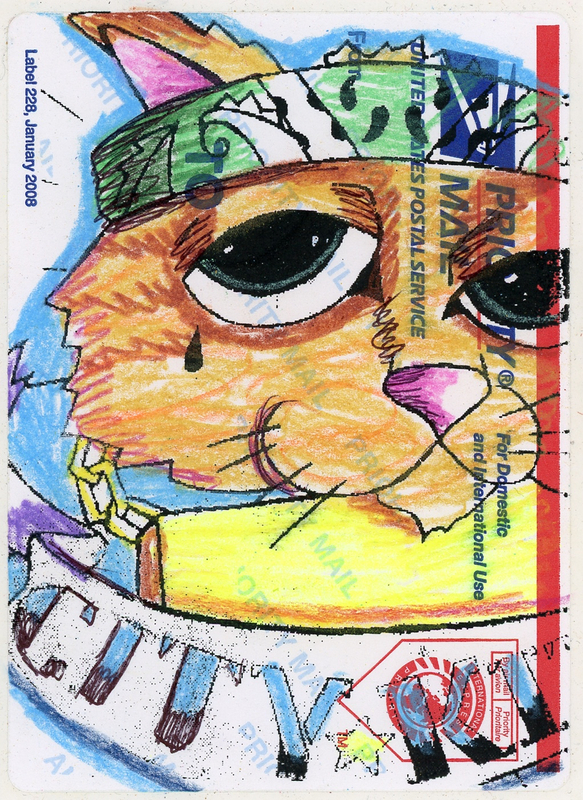 Artist City Kitty’s work is often hand drawn, intricate and detail oriented, in this sticker for example; crayons were used to color the image of the cat.